It’s happening! 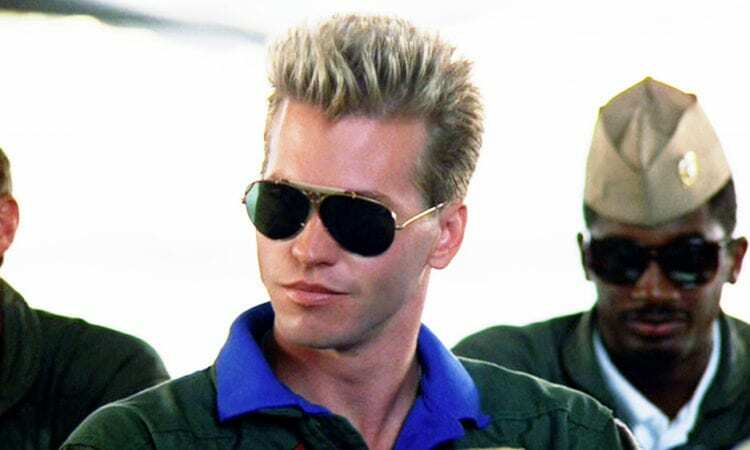 Val Kilmer will officially be joining the Top Gun sequel alongside Tom Cruise, reprising his iconic role of Tom “Iceman” Kazansky. Cruise tweeted out last week that Top Gun: Maverick had begun production, and with no official announcement of Kilmer joining the cast, fans were beginning to worry that Maverick’s biggest rival turned comrade would not be returning. Kilmer has been very vocal about wanting to be a part of the film, including this tweet from last year in which he is literally wearing an Iceman t-shirt. Well, it looks like he finally got the call! The long-awaited sequel will follow Maverick, and presumably Iceman, as instructors at The Top Gun Naval Fighter Weapons School taking on a new group of perspective fighter pilots. There’s no word yet as to whether or not Kelly McGillis will be reprising her role as Charlie, but back in 2014, long before there was even a script, she definitely seemed interested! With the original gang all getting back together, Top Gun: Maverick should be well on its nostalgic way to earning the impressive $350 million the original scored back in 1986. Maverick will be directed by Joseph Kosinski and written by Eric Warren Singer, Peter Craig, and Justin Marks. Cruise, Jerry Bruckheimer, and David Ellison will all serve as producers. The film will be hitting theaters on July 12, 2019.